Can you remember when you were a child and you used to complain about your hometown, moaning that there wasn’t anything to do and that it was a boring place to grow up? I certainly can. I can remember feeling envious of those who lived somewhere far more exciting than my little Wiltshire town on the outskirts of what I believed to be a fairly boring City. In a way I was a little luckier than others. I was lucky enough to have a Dad with a restaurant, where I could wash up on a Saturday to earn the £20 I would then use to go to the cinema with friends, buy some glitter hairspray from Claire’s Accessories and get the train home. Regardless of these action packed weekends, I still never really appreciated the place I was living. Things changed a little when I finished my A-levels, moved into a flat in Bath with some friends and the City became our playground. But despite the freedom, I still couldn’t wait to move away to University and experience a bit of London living. Fast-forward seven years and I’m still living in London, in a nice flat with my fiancé, with a good job and great friends; and I love it. But now when I go home to visit, I can’t help but feel a mixture of emotions, and I can tell that I’m being drawn back. 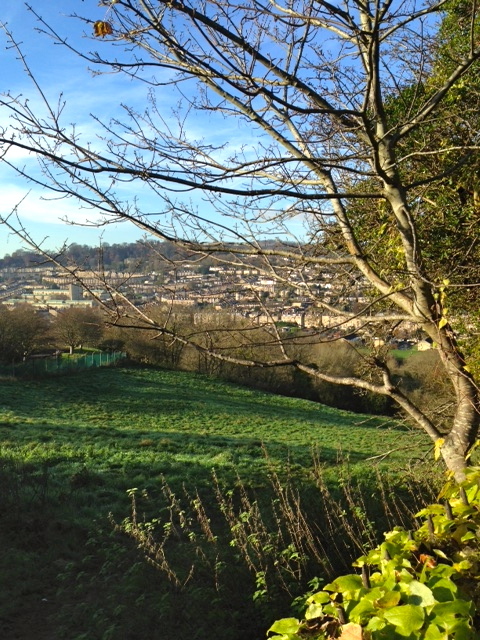 I’ve always known Bath is beautiful; famous for its history, heritage and architecture, but as a child, or even a teenager, I had never really looked at it. 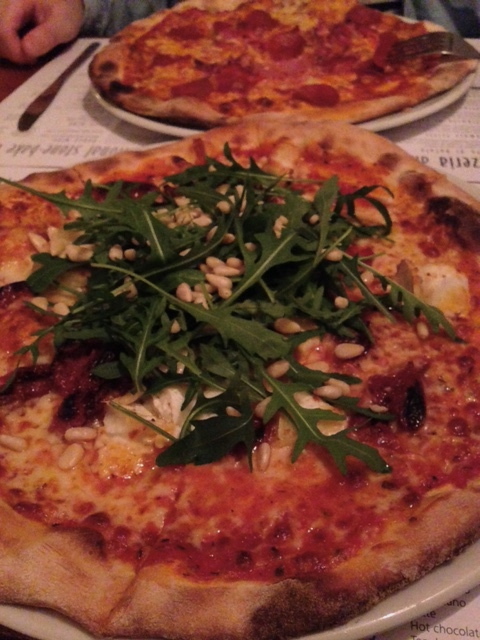 A couple of my friends in Kingston took a trip to Bath last December for the Christmas markets, and returned full of excitement and questions; the most recurring being ‘Why did you ever leave? !’ We started making plans for a weekend in their new favourite City, and a couple of weeks ago we did just that. After a late drive down to the West Country on Friday night that included a desperate and unsuccessful attempt to reach Stonehenge before it got dark (tour guide fail #1), we were up bright and early, fuelled with pancakes and ready for our day. First on our list was The Circus. The Circus is somewhere I have often hurried through on my way to places and so it was really nice to take a moment to revel in the beauty of it. 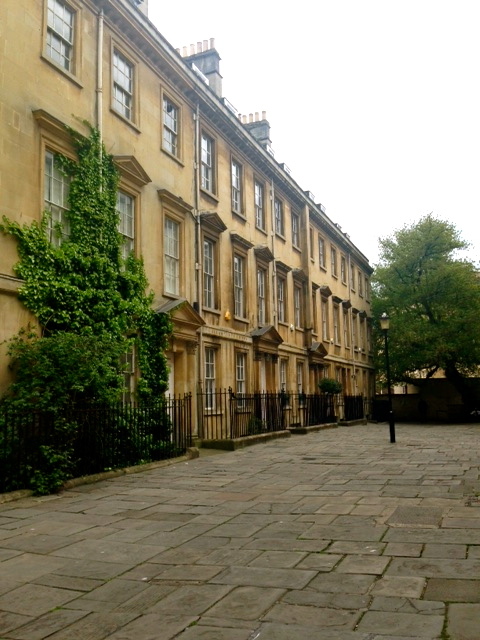 Designed by architect John Wood in the 1750’s, the Circus forms one of the most iconic areas of Bath. Wood supposedly took inspiration from the Roman Colosseum, with the name ‘Circus’ translating in Latin to ‘circle’ or ‘ring’. The Circus has been home to many famous residents with one of the most recent being actor Nicholas Cage. We joined the other tourists who were scattered around the grand pavements and took photographs from every angle. 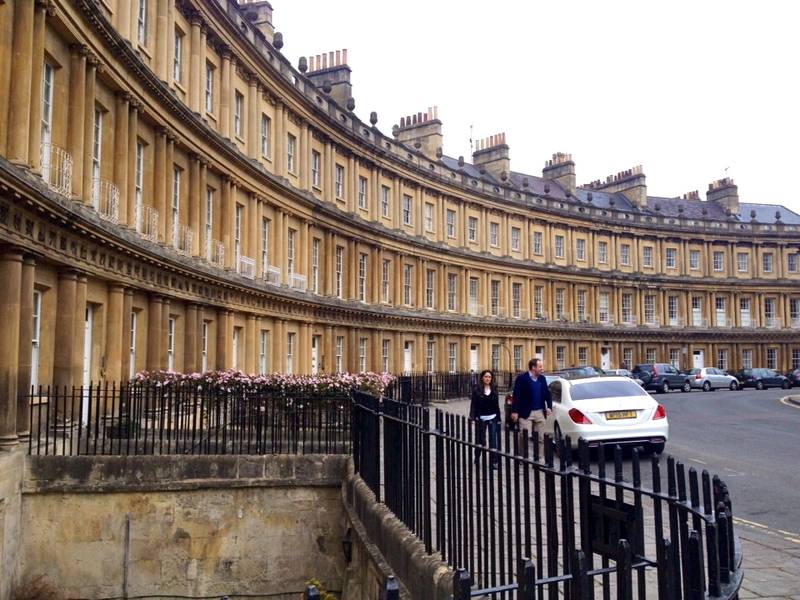 Next we wandered up to The Royal Crescent, probably one of the most photographed streets of the City. Designed by the son of The Circus’ creator, The Crescent is a perfect display of Georgian architecture. 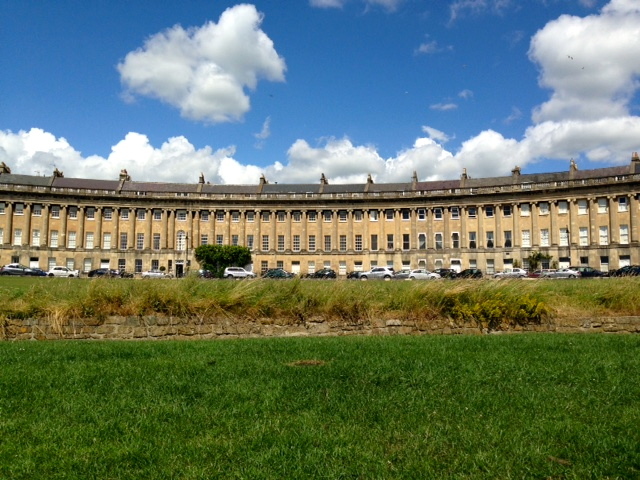 I’ve sat on the grass in front of The Crescent many times for picnics in Victoria Park, and casually strolled along to the Royal Crescent Hotel for afternoon tea, but standing on one corner looking up at the grand, sweeping semicircle of town houses really is an impressive sight. 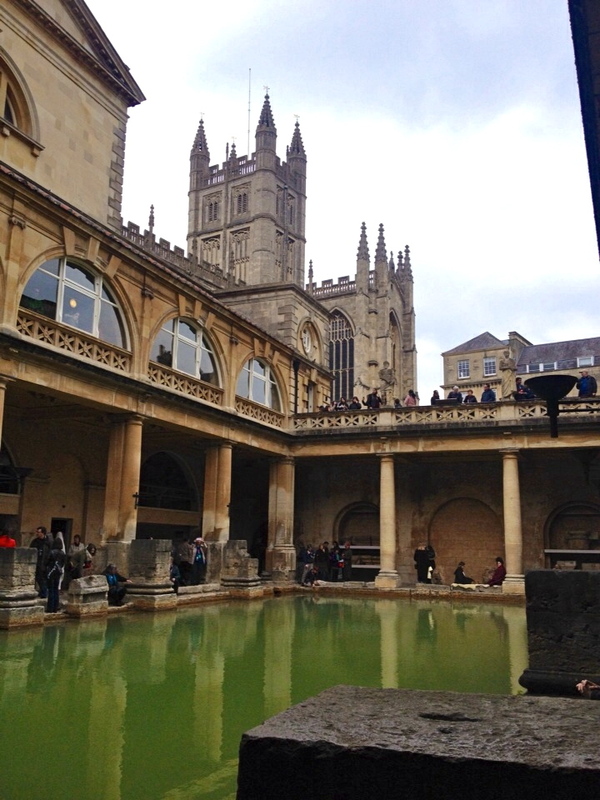 Our next tourist destination was an obvious one; The Roman Baths. Again, somewhere I have visited many times before for school trips, day dates with my history loving fiancé, and more recently for my mum’s 7am wedding ceremony, The Roman Baths isn’t somewhere new to me. I would definitely class myself as a bit of a history geek and have always loved that we have this heritage site right on our doorstep, but after numerous days strolling through Abbey Courtyard on the way to work, you just sort of forget about its importance. 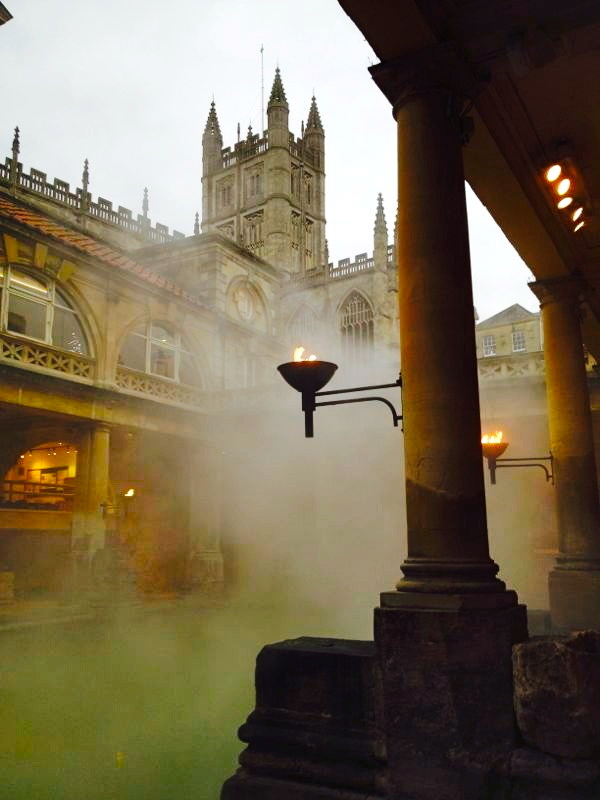 It now makes me sad to hear so many Bathonians say that they have never been inside the Roman Baths – if you live there, go! Plus it’s pretty stunning first thing in the morning. After our lesson in the City’s history we headed to another obvious choice. 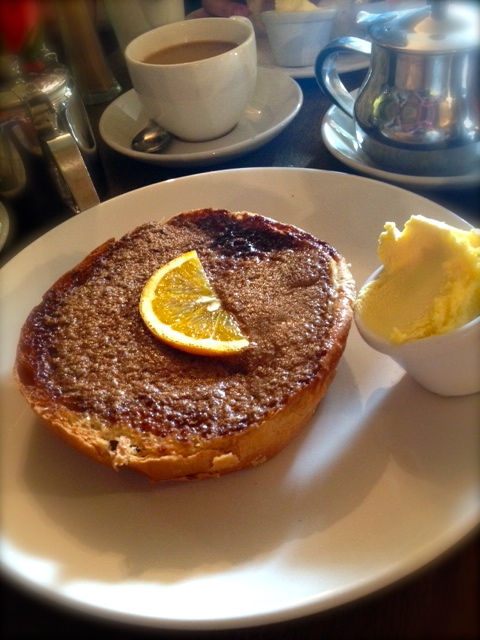 Sally Lunn’s is one of the oldest buildings in Bath and home to the world famous tea house. This is somewhere I hadn’t been since I was a small child and so was more than happy to remind myself just how good the famous Bath buns are. The tea room is incredibly popular and there was a small queue waiting to get inside when we arrived, but as the café spreads across three floors the wait really isn’t that long. 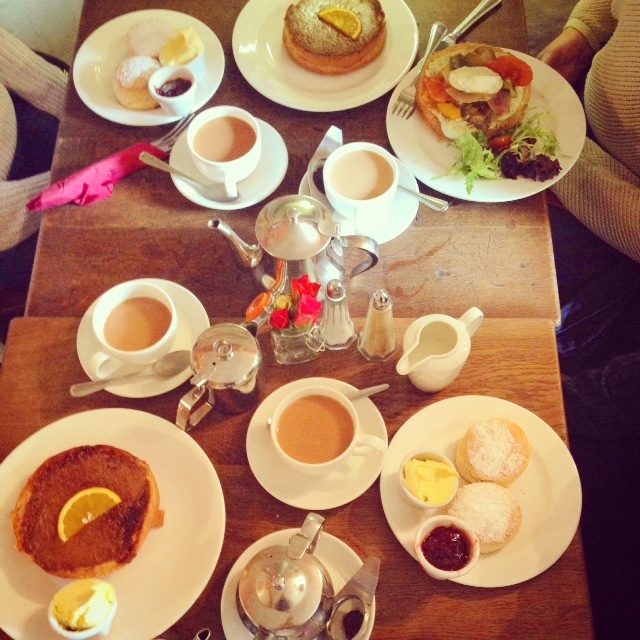 Within about 15 minutes we were seated at a cosy table, trying to decide what to pick from the vast list of quintessential English treats. We sampled sweet Bath buns with the most delicious cinnamon butter and perfectly fluffy scones with moreish clotted cream. The building is beautiful and the décor inside is a true reflection of its time. We spent the afternoon just wandering around; something I am definitely guilty of not doing enough. 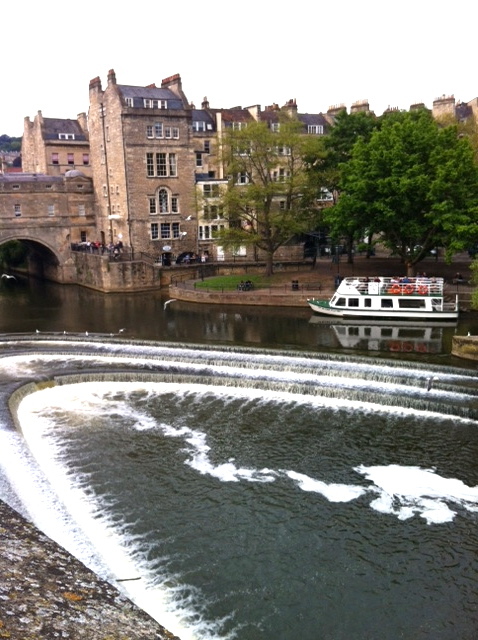 I took the girls across Pulteney Bridge, down the riverside steps to the weir, and after completing the stone maze I used to do as a child (experiencing the same feeling of accomplishment I felt when I was 7) we walked for a while along the river. It was probably one of the most enjoyable afternoons I have had in a long time. 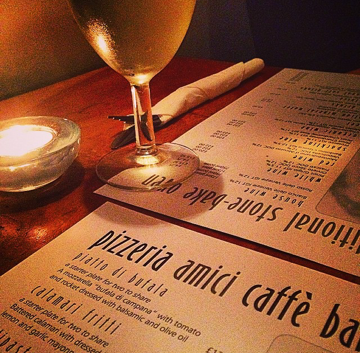 That evening we went to my Dad’s restaurant in Bradford-on-Avon for prosecco and pizza, toasting to the fact that we had finally made our plans for a weekend break a reality. 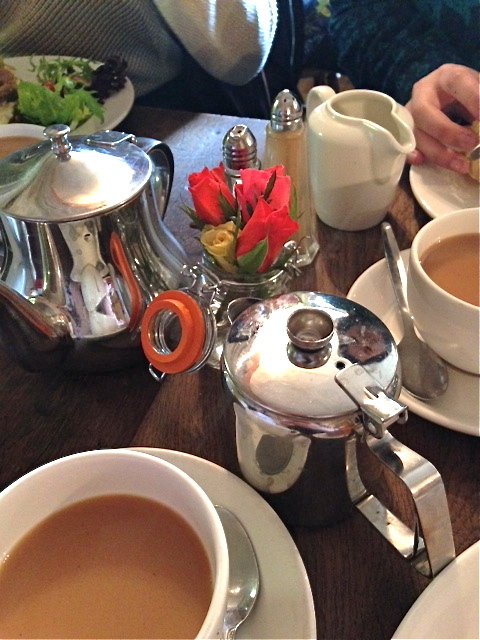 The rest of the weekend was spent at farm shops, vintage markets and drinking more tea than is probably acceptable. It was perfect. I am so pleased I was able to spend a weekend seeing my hometown through the eyes of my friends. I really believe in the importance of seeing other places and experiencing new things, but I also think it’s important to appreciate those places you have grown used to, and the places that provide the memories you will always have. 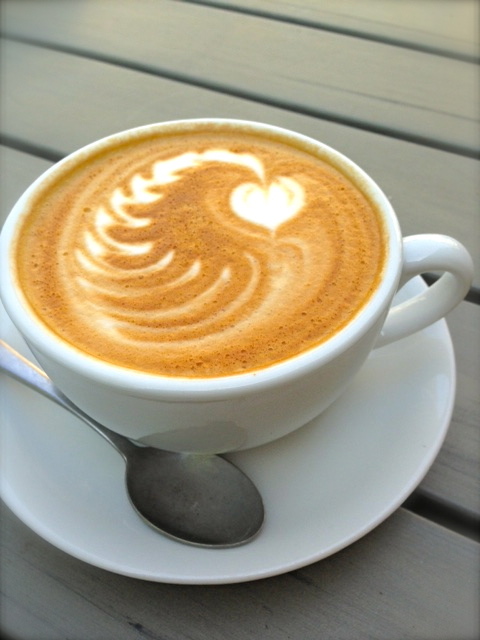 It’s true what they say; apparently absence really does make the heart grow fonder! Nice pictures! 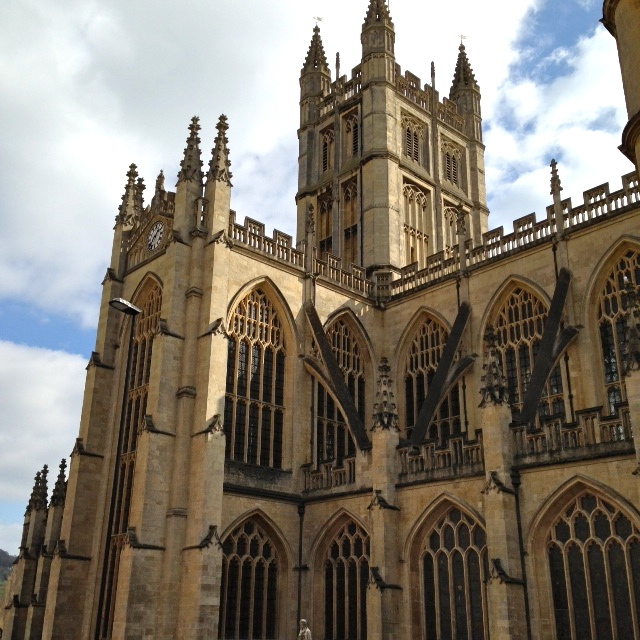 I spent a weekend in Bath recently and it was so beautiful!